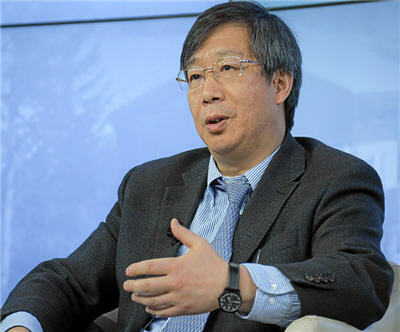 Official Chinese news agency Xinhua quotes vice governor of the People's Bank of China, Yi Gang as saying that the country's gold reserves are at 1,054 tonnes – a number officials haven't altered since 2009. "Compared with China's $3.3 trillion foreign exchange reserves, the size of the gold market is too small." "We need to take into account both the stability of the market and gold prices," Yi said, adding that greatly increasing the reserves will push up the price of gold and hurt consumers and investors in the precious metal. China is the world's number one gold producer with annual output in excess of 400 tonnes. Yi put the country's imports at 500 to 600 tonnes which means China has surpassed long-time number one gold consumer India. Spot gold was trading at $1,591 an ounce in afternoon dealings on the Comex division of the New York Mercantile Exchange, down more than 5% since the start of the year. Gold is coming off a 12-year winning streak after gaining $113 or 7% in 2012 and most market observers see a good chance the precious metal could make it 13 years in a row.